Hi, folks, and welcome to the Word of the Day, that section of our publication in which we offer an etymological lesson on a word entirely unrelated to Liberty. A bock is a strong lager traditionally brewed and served during the springtime. The style originated in Einbeck, Hanover (Germany) during the 1300s, and was adopted by Munich brewers approximately three centuries later. 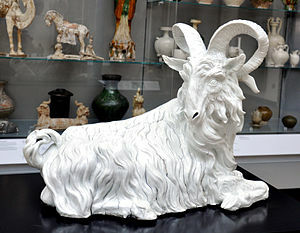 The term ‘bock’ derives from the Bavarian pronunciation of Einbeck (Ein bock), meaning ‘a billy goat.’ To this day, a goat appears on the label of nearly all bock-style lagers as a reference to this German pun. Hi, and welcome to the word of the day, that section of our publication in which we offer an etymological lesson on a word entirely unrelated to Liberty. The term buffalo is used to describe three distinct species of large bovine: the African Cape buffalo, the Asian water buffalo, and the American buffalo or bison. 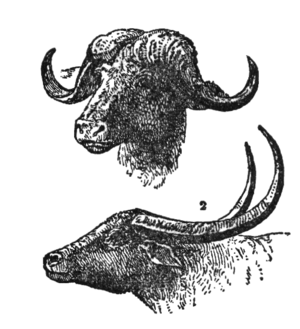 The so-called ‘true buffalo,’ the African and Asian variants, derive their names from the Latin bufalus, borrowed from the Greek boubalos, or wild ox. The American buffalo, more correctly called a bison, owes its misnomer to French fur trappers, who referred to the beasts as bœfs, or oxen. The city of Buffalo has a more questionable origin, though the name is often considered to be a corruption of the French beau fleuve (beautiful river). I hate to break it to you Joe, but the fact is that a good many workers, small businesses, and communities would prefer to fend for themselves. Your government won’t give them the option. No federal taxes. No federal handouts.